Good to be back again, and before we know it, it's already the end of 2014. Things are going well with the HW1 team, and it's good to be keeping touch with everyone. Take care all, and have a great year ahead! Just wanted to shout out to everyone and wish everybody good health, prosperity and happiness for the coming New Year ahead. The Hardware One team is still around and jumping, although we are all endeavouring in different projects and are in different phases of our lives. Take care all! It has been a long time since we have any postings on this page. Just to let everyone know we are all doing great, and on behalf of the entire team we will like to wish everyone a Happy 2012! Thanks to my colleague for bringing in his Luminous Audio Axiom Passive Pre-Amp to work today to loan me. Frankly, I am sold after this quick audition! Also managed to meet Tubeman to grab the Irukandji and a set of Valgrind RCA stereo cables. 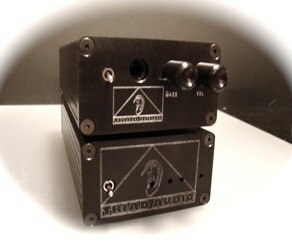 Wanted 2 sets for Irukandji to pre-amp and pre-amp to the power-amp, but could only snag one! DAMN! First impressions with 0 hours run in on the Irukandji. The new pre-amp and Irukandji combo definitely helps improve the detail and soundstage a lot compared to last night's initial demo with the Creative XMod acting as a pre-amp. The mids (especially vocals) are now less boosted. And this gives the rest of the music a chance to shine. All the details that I used to pick up from the Livewires/iQube combo are now coming through. Maybe the B&Ws aren't that bad as I first thought. I am now really tempted to send my old iPod 5.5G 80GB for a proper re-mod. I understand there's now a 240GB HDD that just happens to fit into this old iPod and I can send it along to Vinnie from Red Wine Audio to install and modify to become the iMod. Finally borrowed my father-in-law's Quad 606 power amp. Man that thing is heavy. Wanted to test out the amp at home so did some quick messing about. Used some old Belden 1313A speaker cables to hook up to my B&W 601S2s which have mainly been used for home theater setup. Used the iMod 5.5G with my fully burnt in SoniCaps 4.7uF hooked up with Valgrind LOD and Valgrind mini-mini. For the pre-amp, I was planning to try this passive preamp from my colleague but since I hadn't gotten it, I used my Creative XMod in fully neutral mode. Powered with a mini-USB from my handphone charger. So here's the verdict of this temporary setup. Bass is really taut. Punchy but taut. Like on my UE11s. Surprised how well the speakers delivered the bass because I normally use an SVS 12" sub partnered with a Crowson TES-100 transducer on my sofa to augment the tactile the bass and this was a much sweeter setup. Mids are good but a bit too enhanced. Possibly due to the B&W601S2s. Drowned out a lot of the details I heard previously on my Crystal Cabled Livewires. darn.. makes me really want to consider a new set of speakers. Tomorrow, should be getting the Irukundji dock. Should be fun to see how much better it is. The iMod+Caps+iQube combo has worked for me pretty well for a while now. With the UE11s, the bass is very well controlled by the iQube's very neutral and transparent quality. And the Livewires were given a new lease of life. The Livewires, like the iQube are very transparent devices. Feed it with a less than perfect source and it shows. Feed it quality stuff and it really really shines. Short of bass thumping material (where the UE11's internal subwoofers provide an almost tactile sensation), the Livewires are a great companion for times when you don't want the bass. The new Westone ES3X and Westone 3 got me piqued to attempt a trip to Jaben. Haven't been there in a while because of work and scheduling, so this trip gave me a chance to sample some new gear as well. First up was the P51. I had read deathg0d's review and was keen to test it out. But I had no clue as to how small and diminutive this thing was. Heck, I thought the smallest size I could go down to without compromising too much on sound quality was the Hornet. I also have the Tomahawk and except for its size, there was very little else to recommend for it. But the P-51 definitely packs a punch. I think it's my new favourite from RSA, disposing my trusty little Hornet to second place. It actually pairs very well with the Westone 3. It helps boost the bass on the Westone 3 and brings it closer to the UE11s. I figured the P51 would be a good match for my other IEMs for the times when I didn't want to risk the UE11s like on overseas trips. I was all ready then to make the jump to the ES3X and the P51 combo when I realized deathg0d was ALSO IN DA HOUSE! And as the goddes of fortune would have it, he brought his PR II along. Immediately paired the Westone 3 to the PRII (keeping my caps and iMod and my usual quick sample of songs). Immediately, the contrast was apparent. 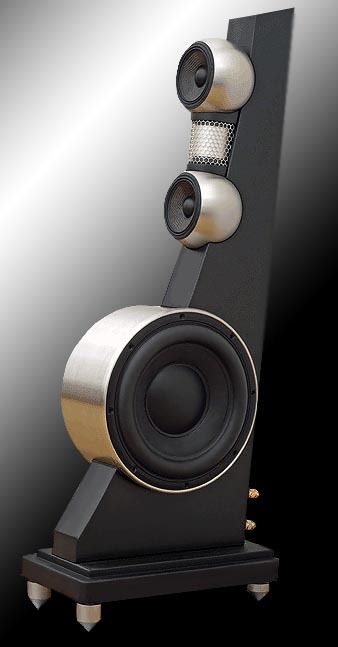 The PRII may not have as big a bass boost as the P51, but there was a much wider soundstage that the P51 lacked. There is a more neutral quality like in the iQube but with the option to dial in a reasonable amount of bass boost, should you need it. That really made me second guess my decision to go the P-51 route. A quick consult with Uncle Wilson and he then made a startling revelation! The LISA III was in stock! In fact, it was the very last one! darn! I dunno if anyone remembers my ramblings but the LISA III was the first amp I ever partnered with the UE11s. Another UE11 owner was also there to pick up his new pride and joy along with me and he had the beautiful LISA with him and was kind enough to let me sample her beautiful sound. And have never forgotten it since then. Then again, LISA was not exact small and forgettable. I did an A:B with the PRII and to be honest, I thought deathg0d's better run-in unit sounded sweeter. The soundstage was just a bit wider. But the LISA III wasn't run in yet. So in the end, I walked off with the LISA III, the LLP (power supply) and the Westone 3 to keep me company while my UE11s get some TLC from the nice folks at UE. As usual, my acid test with new gear is when I try to listen to my usual "night time soothing playlist" while trying to sleep. If it puts me off to sleep, it means the gear hasn't revealed much new information to me and my brain just can't process the differences. If it keeps me awake to keep trying out more and more playlists, I know I have a winner. Here's the thing about the LISA III. It's a fairly neutral sound, but just a hint of warmthness. I found that imperfections in the recordings are far less jarring. I mean, I can still perceive them if I listen intently, but for the most part, the LISA III just lets me enjoy the music more. There's a bit of hiss in between tracks that I never notice with the iQube, but it's not apparent once the music starts, nor is it intrusive. With the iQube, there were times when I dreaded listening to some of my favourite tracks because all the less than perfect mastering just detracted so much with the very revealing iQube. 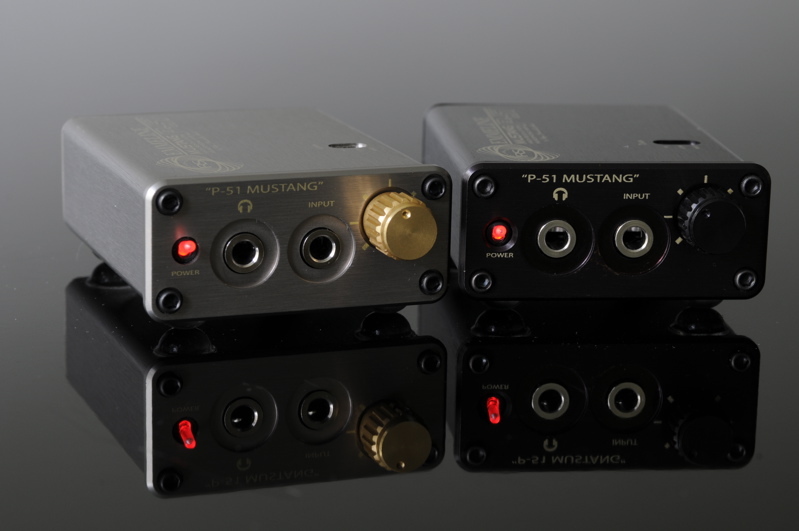 The mids and highs are presented slightly more clearly with the LISA vs the iQube when using the Westone 3s but the soundstage feels just as wide as on the iQube. The Livewires didn't fare as well with the LISA on first impressions. I wonder if it could because of the cheap mini to RCA cable I am using now. Gonna see if the PK1s are any good later. I dabbled a bit (on a student budget) with hifi separates years ago when I was studying in the UK. After I moved back to Singapore, I started working, lived in small apartments and had to move quite frequently (renting), so I pretty much gave up on the hobby. I did diversify slowly into Home Theater when I got my own place but hifi pretty much was out of the game. Until sometime last year when I started messing around with portable players. Ultimate Ears UE11Pro custom-fit quad-driver in-ear monitors (alternating with Livewires custom-fit dual driver in-ear monitors). To be honest, this setup is bloody amazing. It does deliver an expansive soundstage, with the Class D and iMod working together to deliver a very transparent and neutral sound. All the transients, the attacks are delivered clearly. I'd say it is almost reference quality setup. Anyway, my father-in-law was looking to replace his old Quad Electrostatic speaker/amp/CD player for a long time now, and a couple of weeks ago, I saw a post here about the Martin Logan electrostatics on offer at Amazon and sent him the link. He did some research of his own and found that the price for the Source speakers locally was not too shabby considering it came with a local 3-year warranty and support. So two weeks ago, we went to Norman Audio to audition the Martin Logan Source. To be honest, while the soundstage and clarity was better than traditional "boxed" designs, it didn't wow us that much. The salesman later asked us to try the Vista range which was over $7k. While some of the components are made in China (like the Source), the components are shipped across and assembled in the US. The Source was assembled in China with components from US and China, apparently. The Vista did sound like a clear step up but as usual, my father in law had concerns about how long-lasting the electrostatic panels would stand up in our hot and humid weather His old Quads went into the ICU every couple of years. Anyway, I was also planning to pick up my AE3000 from Peng in econav so I popped downstairs. We got around to chatting about electrostatics in general and he mentioned that Anthony Gallo's design strove to achieve that electrostatic quality, but using a different technology. The Anthony Gallo Reference 3.1 was already set up, and despite using a less than reference set up (Marantz pre/power AV amp), the Gallos sounded really incredible. 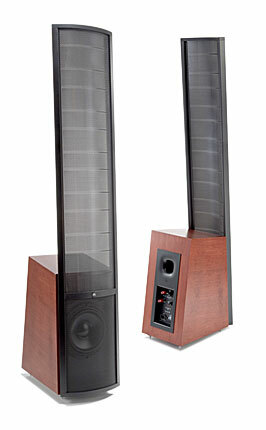 A week later, we went back this time to give the Gallo Reference speakers some more serious airtime. A colleague who owned the older 3 series suggested trying a Class D amp. 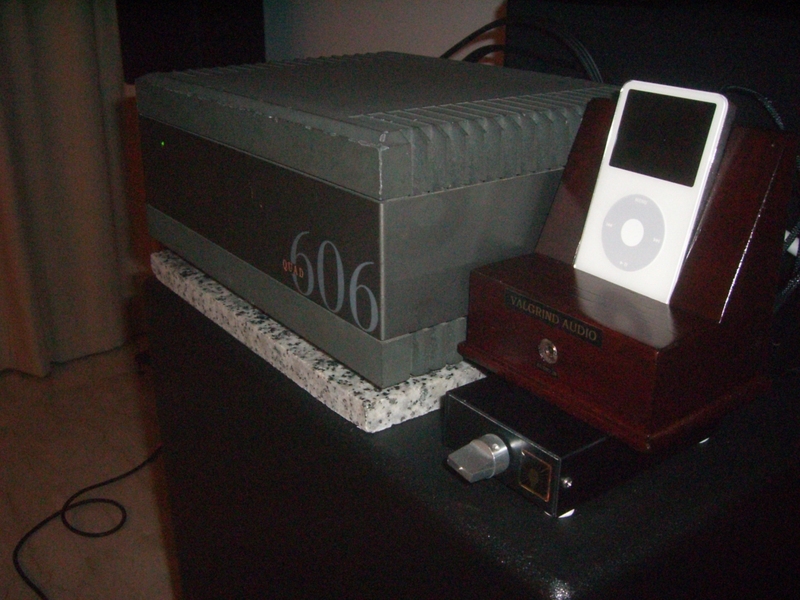 Having had good experience on my iQube headphone amp, we decided to try one of Rotel's Class D amp. We hooked the Rotel to the Marantz AV pre-amp, instead of the regular Marantz power amp and was amazed by how much clearer everything was. Then peng showed us the nifty little Flying Mole CA-S3. 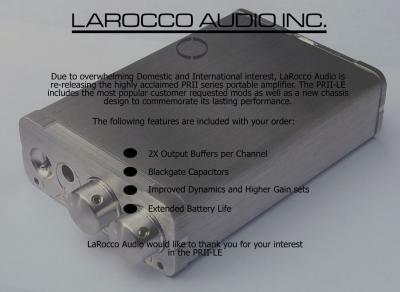 Can't believe this tiny 20W Class D amp was able to drive that huge Gallos so effortlessly. They had the soundstage and presence and the oh-so-clear-trebles-I-could-die of the electrostatics but didn't need a big room to fill it. Playing Winter from Four Seasons, the transient response was shudderingly good. We were pretty much sold but peng suggested re-using our older Quad amps to test out so today we went back again to try the 20 year old 606s with the Gallos. Have to say, the old Quads are still damn impressive. It had a warmer sound than the Class D, but it was a brilliant combination. Even though I wasn't the one in the market, I have to say after hearing these new setups, I am flying bloody itchy. How to Recover Data for iPhone/iPad/iPod?